Consumers will use the app to locate participating parking lots and businesses that will validate their parking. Using Bluetooth LE beacon technology, merchants can automatically validate parking for time spent at their location. 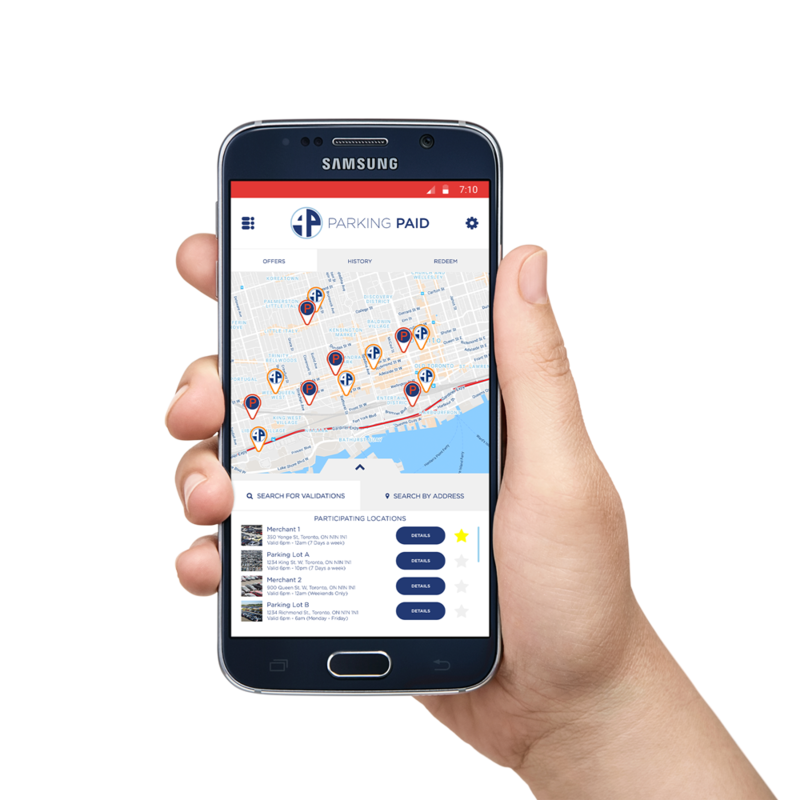 What types of parking lots can use ParkingPaid? Any lot where the license plate is known, either entered at the payment kiosk or via mobile app. Cash payments are supported where the customer can get a credit for the next time they park. Any lot which can accept validation tickets scanned off a mobile device, accepts mobile app payments, has an attendant or uses bar-codes on their ticket. Want more information? View our “How it Works” page.